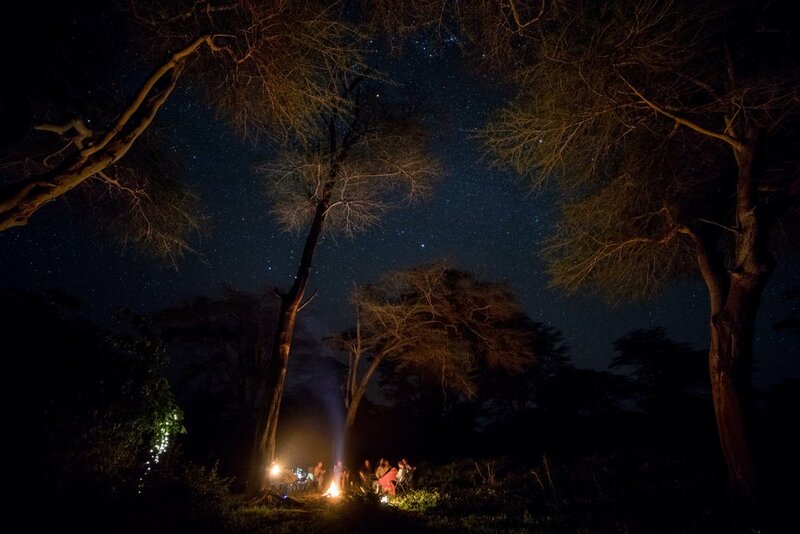 A night under the Kenyan stars is an opportunity not to be missed. 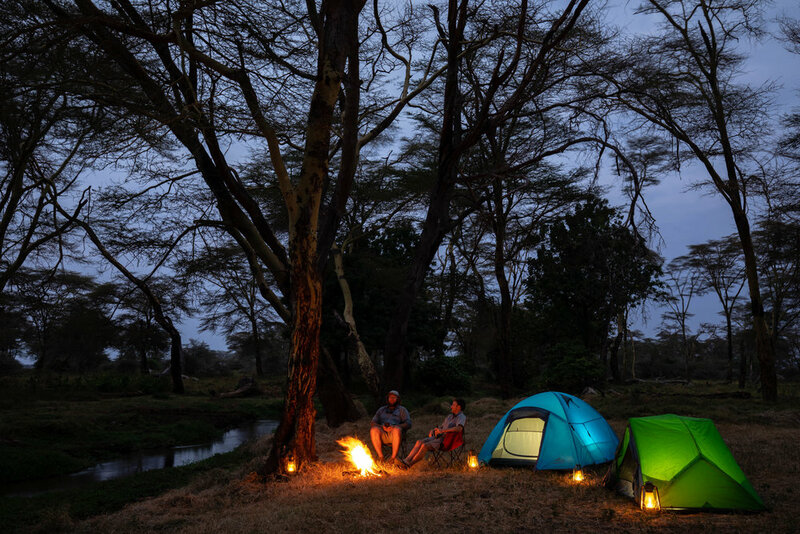 For those that love pitching a tent and cooking over the fire, we have a beautiful campsite just for you. There is a long-drop toilet and bucket shower facilities. 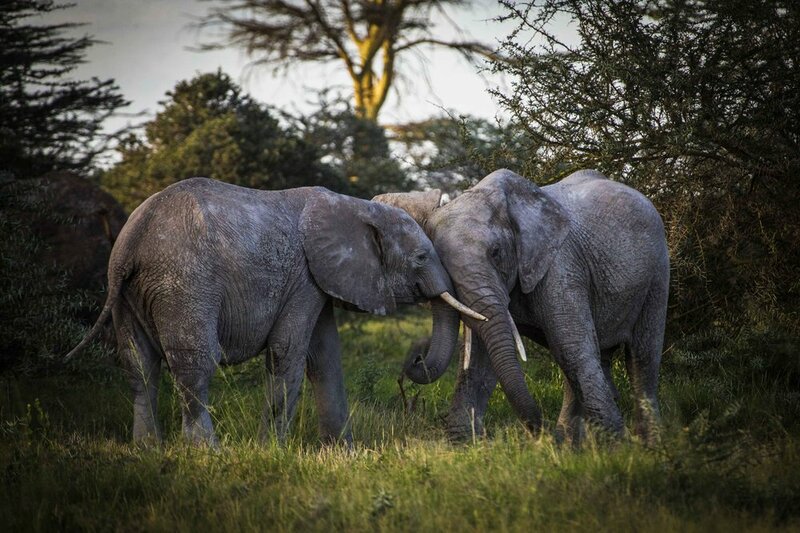 All profits from your stay in the Sanctuary will provide important income to the community stakeholders as well as provide funds for the ongoing conservation of this crucial wildlife area. There are three DIY campsites available, two with long-drop toilet and bucket shower facilities and one without. Maximum 6 tents per campsite and they are available on a first come, first served basis. A campsite can be booked exclusively - fill in the form on the contact page for more information. Firewood is provided. Please use responsibly and in the designated fire pit areas. No water is provided, please bring all of your own. Two of the campsites are by the river, which you fill a bucket from for showering or washing up if you’re comfortable with it being a little muddy! Please take all your rubbish away with you. Please do not attempt to burn metal cans etc. on your campfire. Be aware that animals will potentially be passing close by to the campsite – please use your torch at night and generally exercise caution and common sense around wildlife. Be careful of baboons and monkeys and do not leave any food items/cooler boxes unattended. Be aware of ticks. We have tried to control them in campsite areas; however, if you are walking in the long grass we recommend long trousers, gaiters and a good tick repellent spray. There is 3G Safaricom signal at the campsite; however, the Airtel is patchy to none.